Light body and colour, but not light in flavour. Bright flavors of violet, raspberry, cherry, strawberry with hints of vanilla, cinnamon and savoury sage notes. Aging: 35 months in neutral oak barrels. Food Pairings: Turkey, duck, charcuterie, filet mignon, venison, lentil dishes, grilled vegetables, or mushroom dishes. This was a featured wine in April's Wine Club package. 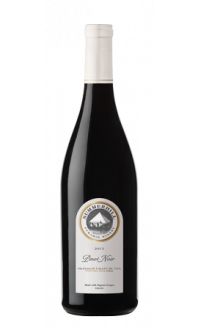 Nose: Lifted black raspberry nose with well-integrated cedar spice notes from oak-ageing. 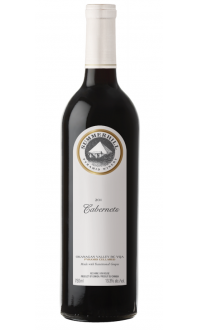 Palate: Medium-bodied, dry, raspberry and red plum flavours with fresh acidity. Rich and ripe on the palate with a lovely mouthfeel; carries its alcohol well. Quality: Very Good+. Decant and drink now or by 2020. Food Pairing: Turkey chili, red lentil dahl, filet mignon with mushroom-cabernet gravy, duck cassoulet, Gorgonzola or Brie cheese, seared tuna with avocado salsa.